The clock widget from the Atrix HD that we featured yesterday, has apparently been pulled from a device and is available for you to download. The clock itself is interactive, showing you time, weather in multiple cities, and your battery and data plan percentages. It’s easily one of the better clock widgets we have seen in some time. If it sounds like something you would love to have on your device, then jump at the download link below. 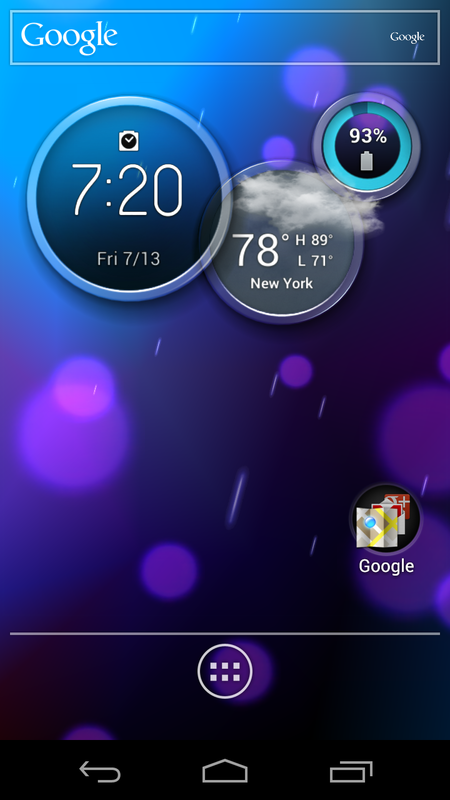 *We should point out that in order to use this clock widget, you have to install the home launcher from the Atrix HD. You also have to use the home launcher from the device to or the clock will error out. 1. Unzip the .apk files from the .zip. 2. Install all three apps. 3. Launch the Atrix HD launcher and add the circle clock as a widget.